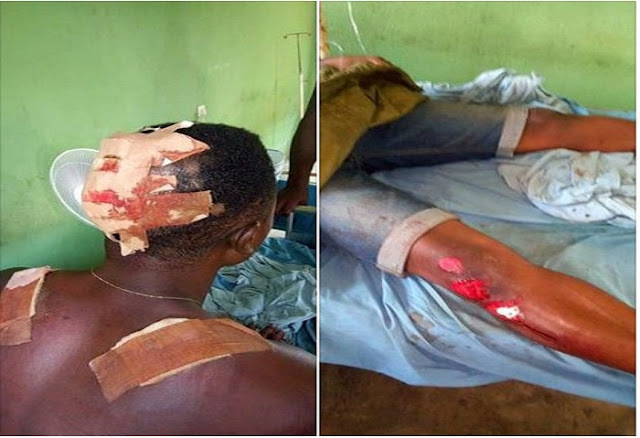 A young man was almost wounded after encountering scammers while traveling in Abia state. According to Uwas Onyenku, the victim was pushed out of the bus through the window after he rejected their request of business, thereby injuring him seriously in the process. Just happened this evening. Okey Nwapu Evans is my brother from Amakohia who mistaking entered one chance taxi in isinweke to umuahia. God so kind some motorcycle riders immediately went after them, which they followed them till they diverted from 7 and half to Otoko on their way they had accident and was caught by Obowo police division Otoko. While the matter was reported to Ihitte/Uboma police division, they immediately went to Obowo and carried them back to isinweke. And their car is still at Obowo police station. I immediately turned and go back home.